The Blueberration – a Blueberry Aviation | Geoff's AwesomeSauce | Cocktails, food and drunken ramblings. It’s dead easy to create a unique drink by simply infusing spirit with fruit or spices. Sometimes it’s best to leave the ingredients soaking overnight or for weeks, especially if using things like vanilla or dried fruit but fresh fruit only takes an hour or so to impart a lovely fresh flavour and vibrant colour to the spirit. 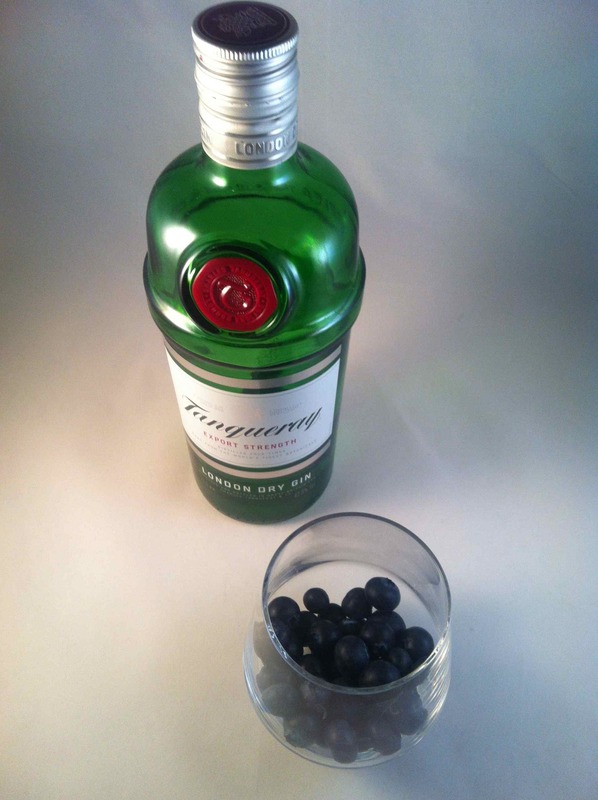 I had some blueberries in the fridge so I just popped a handful into a half glass of gin, covered with cling film and left it to infuse. The Aviation is one of my favourite cocktails, it’s a Gin sour with a hint of violet from the Creme de Violette which gives a subtle floral note and a unique colour. Created in the early 20th century by Hugo Ensslin, head barkeeper at the Hotel Wallick in New York and published in his 1916 book Recipes for Mixed Drinks. 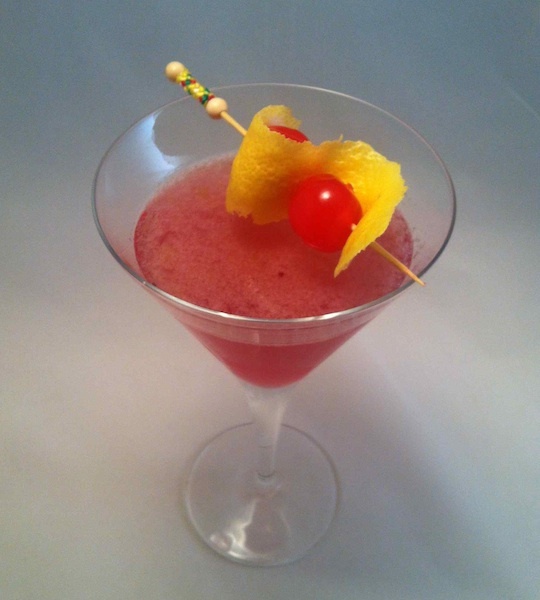 Tragedy struck this poor cocktail when in 1930, a recipe was published in The Savoy Cocktail book omitting the Creme de Violette so that until recently The Aviation fell into obscurity. There are two divided camps where one uses the traditional Creme de Violette and one behaves like a complete arse and leaves it out. The latter camp is wrong. The traditional recipe for The Aviation cocktail uses 2oz Gin and produces quite a small cocktail so I increase the quantities to suit my glasses which hold around 5oz. 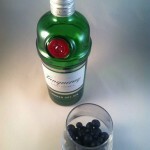 I used Tanqueray Gin as I didn’t want a gin with heavy botanicals which might overpower the Blueberry.